« Store Closed on Sundays, Thank you for your support! Vanessa was born in Bath, England and studied in Switzerland. She speaks four languages fluently, providing her with the ability to work with her clients in their native language. She lived in England and Venezuela until 20 years ago when she moved with her American husband to Florida. These cultural experiences and language skills give her a unique and distinct ability to relate to people in their model of the world. Because Vanessa has been doing intuitive counseling for over 30 years and has served thousands of clients, many of whom return frequently, she has a good sense of the issues and challenges that people are facing today. She grew up in a family that for four-generations had experienced the importance and value of developing one’s intuition. Having grown up where the ideas of spirit and intuition were routinely talked about it is easy for her to share this experience with others. As a fourth generation intuitive, she originally learned to read ordinary playing cards from her mother and then later studied the Tarot in Paris, France with Dao Tiem, a well-known Oriental astrologer. She is known for using old, barely recognizable, Tarot cards. They are just a tool to spiritually access the information which she then interprets and passes on to you. She has been helping and counseling people with her intuitive abilities for over 30 years. For the past 24 years she has lived and worked in the Tampa Bay area. During your sessions she will help you be aware of your positive potentials and explain how you can use them to change your life to a happier and more successful direction. The central core of her services is to inspire, uplift and empower people to have a happy, fulfilled and abundant life. 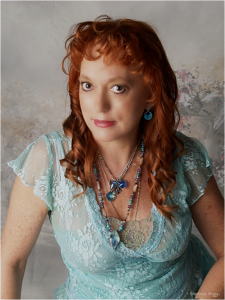 Whether you come for an intuitive reading to find solutions for your everyday problems, or whether you come to classes that expand and enrich, Vanessa seeks to transfer uplifting and inspiring energy. She enjoys sharing the energy, experience and knowledge that flows through her and she empowers her clients to develop and draw on their own inner wisdom and creative energy. Please call to reserve your time (727) 787-5400. Our Fee is $2.00 per minute/ minimum 20 minutes.